Yeah .. soon is winter, time to make some winter walls. I was think of this wall for wo days and finally today I made it. - Adding my feeling into wallie! That's really pretty ^^ Great for the season! 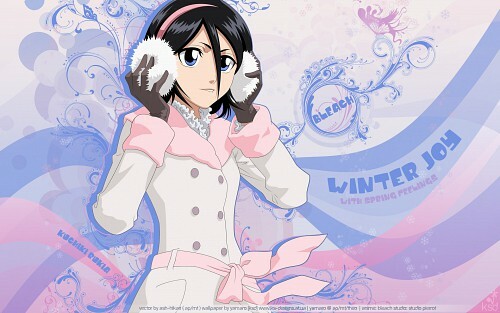 ohmigod i love rukia in this pic, plus the background is truly beautiful. Very nice Artwork! I dislike Bleach but your wallpaper is nice. I like all the wall! Cute. I like the colors you used for the background, it makes everything look so "girly" which is not a word I would associate with Rukia. Nice job. awww kawaiii, Rukia es mi favorita, me encanta este wallpaper esta muy bonito. This wall has very nice soft colours...suits her clothes.. Cool! Definitely a beautiful wallpaper. 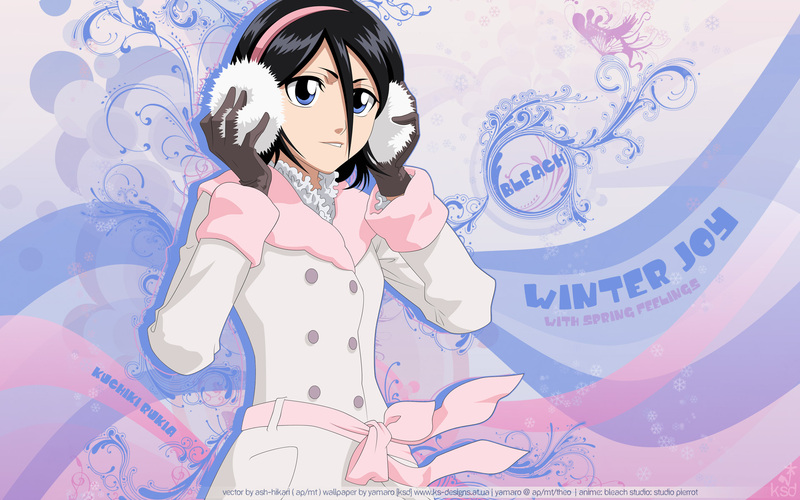 This is one of my favorite Rukia wallpaper. Thanks! Keep up the good work! Hope you upload more! Just beautiful and perfect season to release this. I love it!